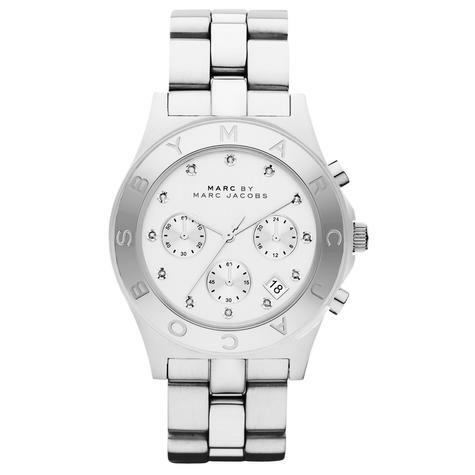 Stylish ladies Marc by Marc Jacobs watch from the Blade collection. 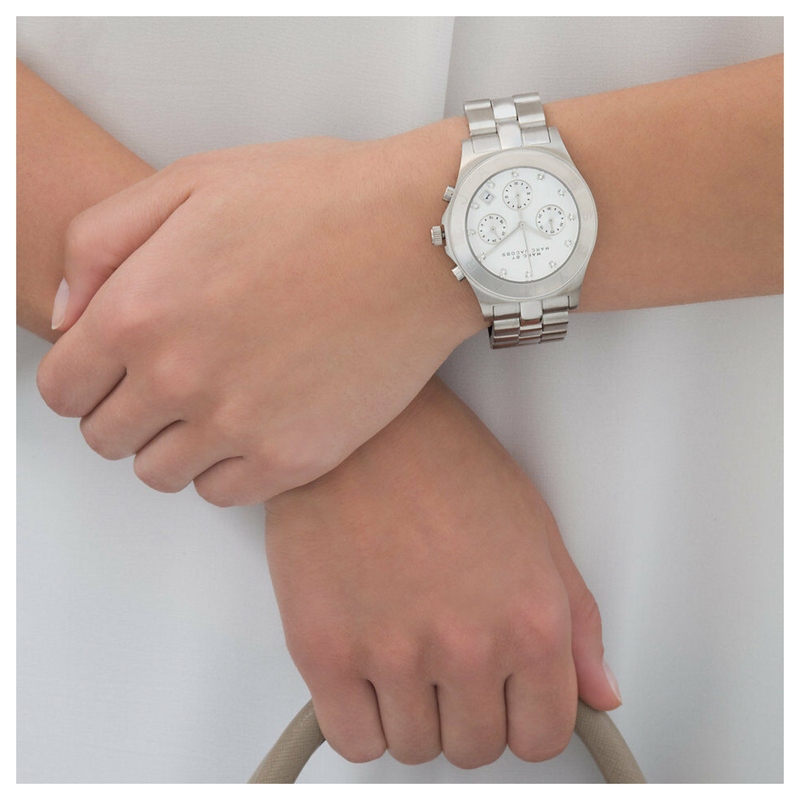 This design comes in stainless steel and features a round case with a white dial. 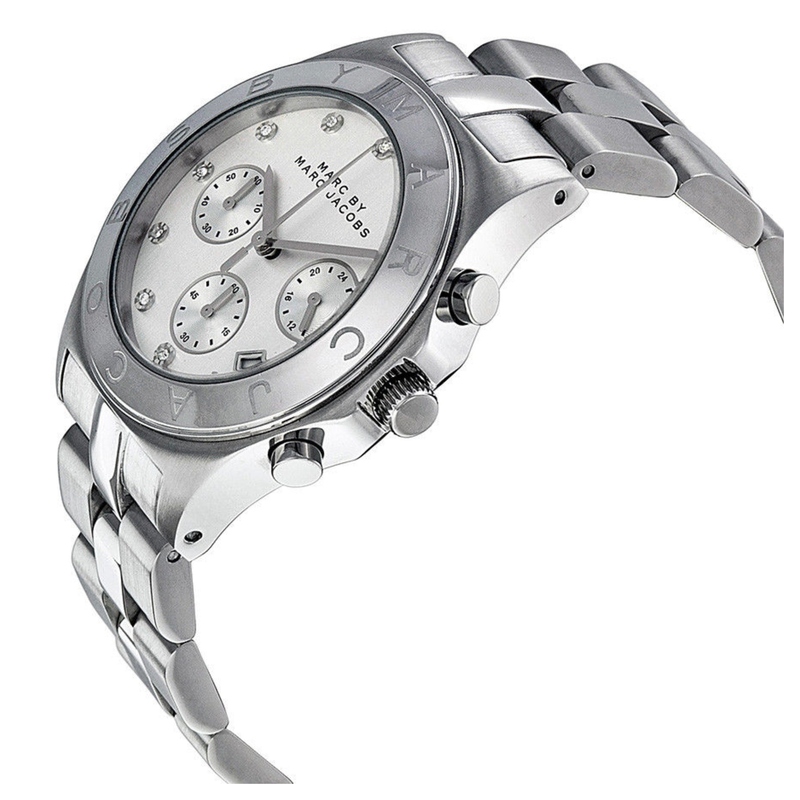 The dial features sparkling hour markers, date function and silver hands. It is complete with chronograph, powered by a quality quartz movement and fastens with a push-button deployment on a metal bracelet.